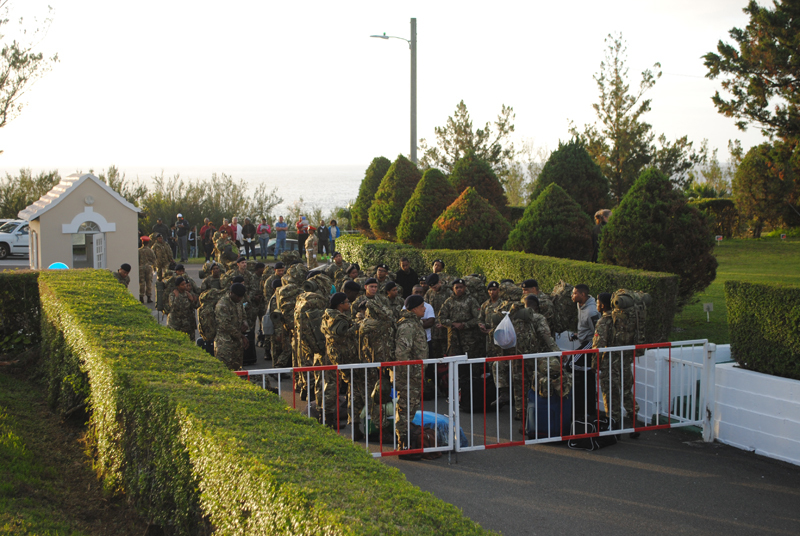 The Royal Bermuda Regiment’s latest recruits got a break after completing their first week at Warwick Camp. The 60 recruits going through atwo-week training programme were given the day off to mark completion of the first part of training. Training in the first week concentrated on skill at arms using the RBR’s new stock of SA-80 rifles and drill, as well as classroom lessons on the role of the Regiment and its structure. Highlights of the second week will include more live firing on the ranges and an introduction to living in the field and night patrolling. 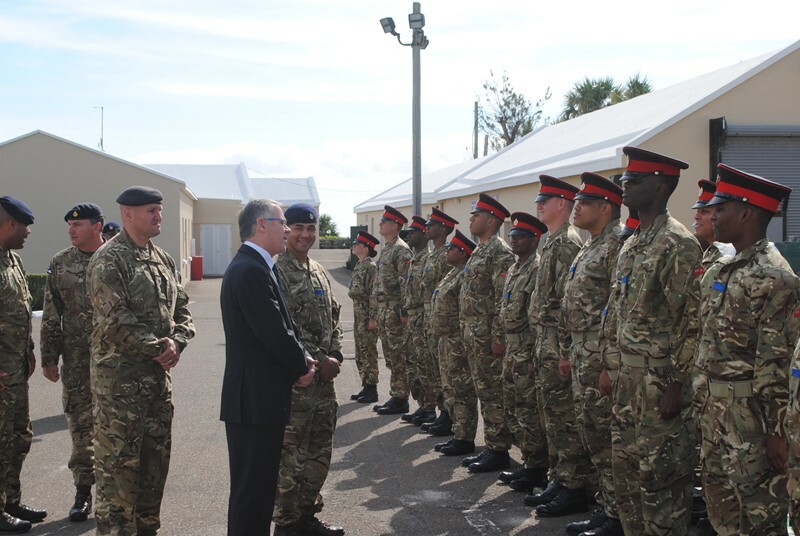 A total of 60 recruits last week entered Warwick Camp to begin a two-week programme designed to produce troops of the highest possible standard. Governor George Rankin speaks to new soldiers training at this year’s Recruit Camp. RBR Commanding Officer Lieutenant Colonel David Curley was at the weekend in Jamaica for the funeral of businesswoman and Montego Bay community figure Hazel Dalley, known as Miss Hazel or Auntie Hazel to generations of Bermuda’s soldiers and a major source of friendship and support to the Regiment. But he said earlier that some of the new recruits will get the chance to undergo extra training for duties on land or out on the water for the summer’s America’s Cup races.